Pelleaglio is a paper with food certification. It is white, made in pure cellulose and easily printable with logos and full background. Pelleaglio paper is used by confectioners to wrap their products. Some use it as wrapping paper. We also sell the famous to famous shoes manufacturers who use it to wrap their shoes in beautiful boxes. There are always those who want to stand out and we with them.  Metallized Bi-oriented Polypropylene 35 my is a silvery mirror-like plastic material. It is used by florists to pack and protect flowers and plants after the sale. Pastry chefs use it to wrap cakes, handmade panettone and Easter colomba. 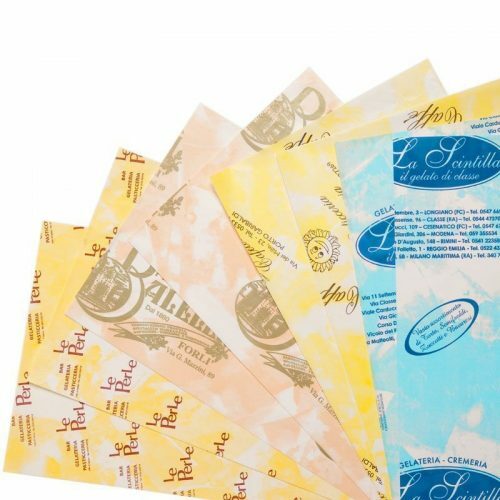 It is often used as gift paper. It can be printed with full background, images and logos. Pearly Bi-oriented Polypropylene 40 my is a pearly white-looking plastic material. 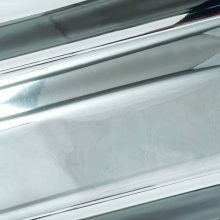 It is used by pastry chefs to wrap cakes, handmade panettone and Easter colomba. It can be printed with full backgrounds, images or logos. The transparent bi-oriented Polypropylene 35 my is a plastic material with a crystalline transparency. Pastry chefs use it to wrap cakes, handmade panettone and Easter colomba. It can be printed with full backgrounds, images or logos. 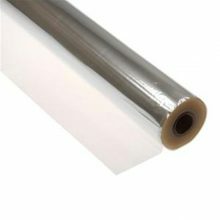 Polyethylene paper g.45 + PE 9 My is white and well formed. 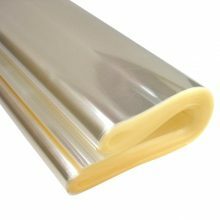 It is coupled to a thin layer of polyethylene barrier which makes it impermeable to fats, and therefore very suitable for food contact. 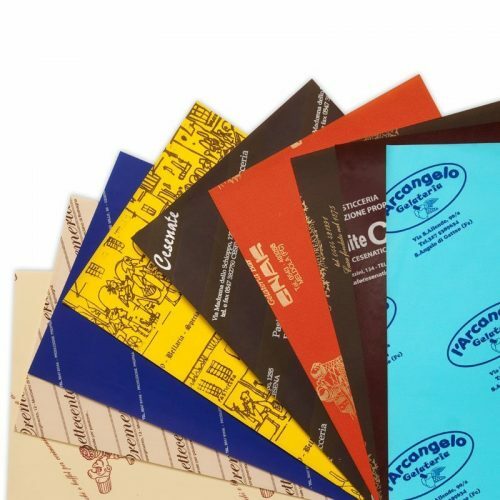 Polyethylene paper g.45 + PE 9 My g.45 + PE 9 my is the right paper for butcher shops, pizzerias, ovens. It is a paper for all those who provide food for counter and take away food consumption. 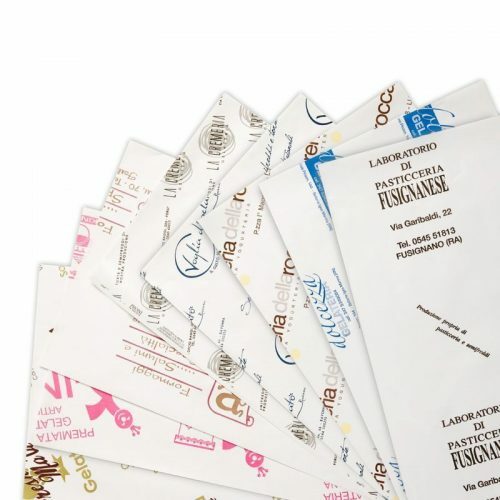 Polyethylene Coated paper is easily printable with any type of logo and image.